Idaho's Governor 'Butch' Otter signed his wolf killing bill on March 26, 2014, just months after he asked the state legislature to generate it. In his January State of the State address, Governor Otter chose this action as one of just a few priorities he found worthy of the states immediate attention and worthy of residents' taxpayer dollars. In his address he stated, "We’re managing them now, and they’re a trophy hunting species. But the population is still growing, and our resources remain at risk." Facts from his own state fish and game agency prove otherwise. The official record shows Idaho's wolf population in a year over year decline since 2009. So why are we so much against wolves? Wolves have given us dogs. Yet we are bent upon wiping them off the surface of the earth. It is proven by experimental evidence, archaeology, and DNA studies that dogs (Canis Lupus Familiaris) are either a direct descendants of Gray Wolves (Canis Lupus) or, at least, dogs and wolves are direct descendants of a common ancestor that went extinct 18,000 to 12,000 years ago.They have many common traits indeed. "There are some dogs which, when you meet them, remind you that, despite thousands of years of man-made evolution, every dog is still only two meals away from being a wolf." - Neil Gaiman in Good Omens. As the first video shows, wolves are known for affectionate, loyal, sentient and care-taking behavior toward their young and their elders. The whole pack will come to the support for an injured comrade. They have been observed to bring food for the sick and the elderly pack members. Although dogs are not pack animals, they certainly are social animals. This feeling of affection has been harnessed in them in a different way that we normally don’t think of. We are aware that dogs are used as ’Guide Dogs’ and ‘Hearing Dogs’, but fewer of us know that they are being used as service dogs and as help in sensory processing disorders. For example, an Autism Service Dog will interrupt behavior of an autistic child who is self-harming or provide a counterbalance to latter’s poor balance. Please see the beautiful video and the link to a book related to this topic. 'Blind Courage' is a worth reading book. 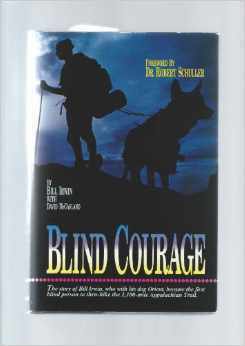 It is the story of a blind man, Bill Irwin, who, with his guide dog , Orient, hiked the 2100 miles of the treacherous Appalachian Trail. "The dog was created especially for children. He is the god of frolic." - Henry Ward Beecher. characteristic from their cousins too. There are gentle companion dogs that shower our children with affection all the time – Leonbergers, Newfoundland Dogs, Labrador Retrievers, Golden Retrievers, Irish Wolfhounds, Samoyeds, etc. as the video shows. Worth reading is the book 'Following Atticus' by Tom Ryan. 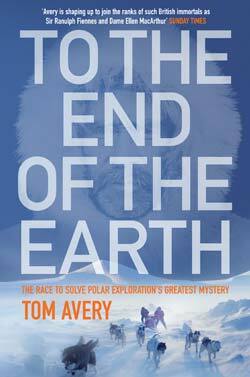 It is the remarkable true story of a man and a dog embarking on the challenge of a lifetime. 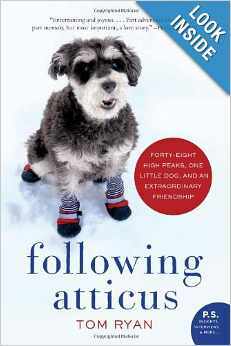 Tom, struggling in his personal life, and his miniature schnauzer companion, the “Little Buddha” Atticus M. Finch, attempted to scale all forty-eight of New Hampshire’s four thousand foot White Mountains twice in the dead of winter. It is a story of love, loss, and the resilience of the human and animal spirit. And while at it, most dogs will find time to play with their human companions, providing them company and being the best buddy around. Try it yourself. When you are down with a bout of depression, go and start playing with your dog. Its wagging tail and a smiling face will automatically bring you out of any kind of depression. chicken, etc.) from predators and bandits wherever they move for grazing. They will challenge a dangerous intruder if they perceive it as a threat to their pack, which is livestock. Most dog breeds in this category are large and muscular – Great Pyrenees, Italian Maremmas, Turkish Kangal and Akbash dogs, Caucasian and Central Asian Ovcharkas, Hungarian Komondork and Kuvaszok, Bulgarian Karakachans, etc. In her book 'Shepherds of Coyote Rocks', Cat Urbigkit has written on her adventurous life as a shepherd herding her flock of sheep in northwestern Wyoming and in the process has described the region, LGDs, transhumance and wildlife conservation in a beautiful and a lively manner..
have greatly improved barking sounds. The bark that alarms its humans has many levels. It is the one that is high in pitch and repetitious and sends the highest level of alarm that has saved many a homes from robberies. Watchdogs come in all shapes and sizes. Miniature and Standard Schnauzers, Chihuahuas, come to mind readily. On the other extreme, dogs have inherited from wolves that affectionate welcoming bark that tells us that either one of his human pack members or a friendly guest has arrived on the doorstep. 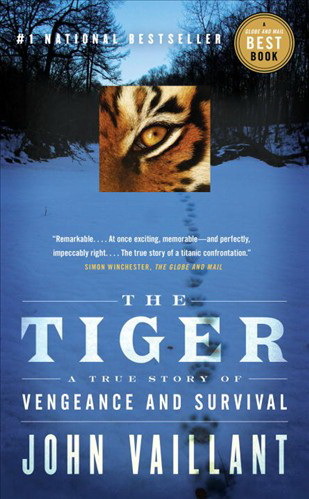 In order to read an account of watch dogs in terribly risky situations, John Vaillant's 'The Tiger' is an awesome book. Vaillant covers dogs, but in the context of their accompanying hunters in Amur forests and sometimes becoming prey of the tigers themselves. Dogs in this book hunt by their masters’ sides and get hunted by Amur Tigers and their role is frequently described under tragic circumstances. However, the book starts with a thrilling but not a tragic confrontation of a female dog and the man-eating tiger. Wolves are long distance runners as they chase their prey, isolate the weakling, exhaust it, and bring it down. This characteristic of wolves has been retained for deployment in dogs in three ways. Tom Avery tells the story of how his team of 5 humans and 16 sled dogs covered 413 nautical miles to the North Pole in thirty-six days and twenty-two hours. Sight hunting dogs like Salukis are marathon runners and will chase after a prey for a long distance till the latter gets tired and gives in. We also have scent hunting dogs like foxhounds and coonhounds, who will follow a scent of an animal prey for long distances and finally hold them at bay till their humans arrive. Bloodhounds will follow scent of runaway criminal/lost child for a long duration before they find them or find some other clue to their running away. This characteristic is also harnessed in another form in dogs like Siberian Huskies, Alaskan Malamutes, Canadian Eskimo Dogs, etc. who can pull sleds and heavy loads for long distances. The third way this ability has been deployed is in gun dogs – spaniels, setters, pointers, flushers, and retrievers – who work tirelessly in rough terrain and under adverse conditions to assist in hunting, and, most recently, in working closely with wildlife conservation experts like the video shows. When the gray wolves hunt, they try to startle the prey into running. They do it by intimidating their adversary, eyeing it, harassing it, and forcing it to start running. When the wolves lock on their prey, they cut it off from the rest of the herd and channelize the chase into a particular corridor where bringing it down is easier. This characteristic of eyeing, chasing, and channelizing has been nurtured in our herding dogs. Dogs like Border Collies, Shetland Sheepdog, Pulik, Kelpies, etc. show this quality while herding the livestock as this video shows. 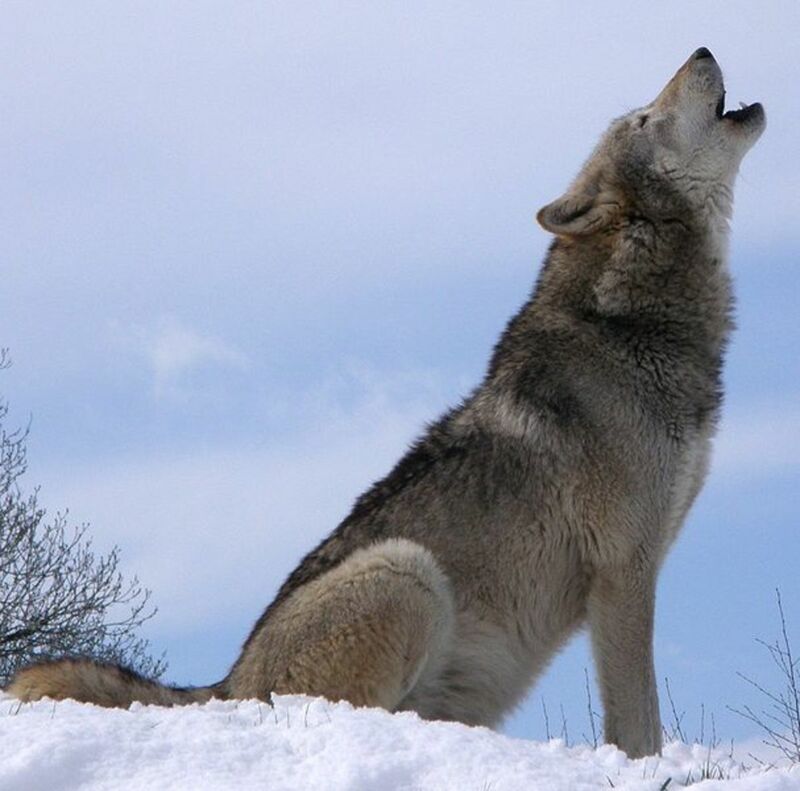 Wolves will kill their prey to eat it and members of one pack will fight off another pack when it comes to protecting their territory, young, or a carcass. The fight drive results in the detaining, harassing, baiting, or driving off of a dangerous foe. Dogs having pronounced prey and fight drives are used as catch dogs in police work and as catch dogs for hunting dangerous wild animals. This characteristic has been retained and improved in agile dog breeds like German Shepherd and Belgian Malinois to take on criminals, Dogo Argentino to fight off wild boars, Karelian Bear Dogs to challenge and chase away bears, Cane Corso to fight off other dangerous animals, etc. Dogs are also trained to be protection dogs for families, especially those at risk of violence, as the video shows. Unfortunately, the same drive has been harnessed for dogs put into dog fighting. But that is a topic of another article. 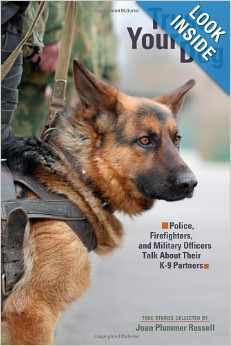 In order to read about loyalty, heroism, sacrifice, bravery, heartbreak, humor, and more in the legendary partnerships between law enforcers and their K-9s, I recommend reading 'Trust Your Dog' by Joan Plummer Russel. 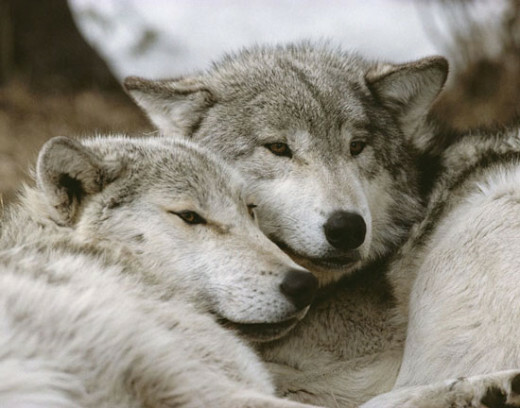 Wolf packs have an ingrained need to protect their territory. This characteristic is also present in dogs like Doberman Pinchers, English Mastiffs, etc. to guard property, especially in the absence of humans. It is not surprising that Dobermans’ were, and still are, a breed of choice for guarding industrial estates on their own. Their creepy style of defense in teams of 2 or 3 by sneaking up on an intruder in total silence and then launching a surprise attack has been used in many movies across the globe. See the video. Fila Brasiliero are kept on plantations in Brazil to perform their guard duties and Boerboels perform the same duty in South Africa. Unlike their brethren from LGD group, their loyalty is to land and property rather than to livestock moving over large distances, although they will surely protect their humans any time and at any place as well. When we look at dogs, we are actually looking at wolves, only that when the first wolf like dogs decide to wag their tails into humans’ world, their brethren decided to keep wild and independent. We persecute and hunt wolves on as false and flimsy excuses like they kill children and will not hesitate in attacking grown-ups. Of course this is far from true. Actor Liam Neeson has correctly said, “In real life, wolves will do anything to avoid contact with mankind”. But if a wolf does wander into our world by mistake, it has to be seen and managed like a strange dog. When we see a lonely dog in a park or on a street, we don’t kill it. We take necessary precautionary measures and approach it and manage it differently. Let us be grateful to wolves who have given us the greatest gift in the form of our loyal and loving dogs. It is time to give back. Please stand up in support of wolves that are now being increasingly persecuted in the world, especially in the USA, where In June of 2013, the U.S. 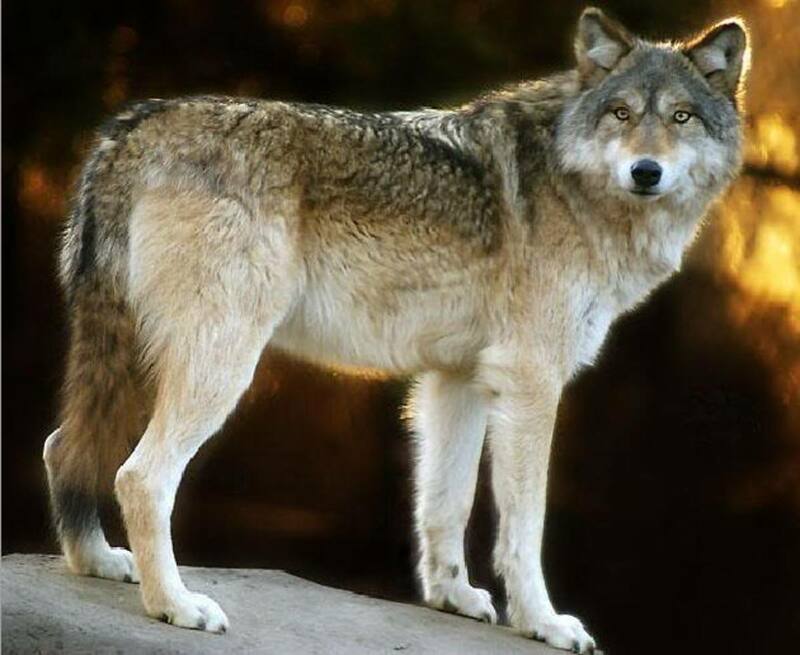 Fish and Wildlife Service (FWS) proposed removing federal Endangered Species Act (ESA) protection for the gray wolf throughout most of the lower 48 U.S. states and where officials like Governor of Idaho are bent upon killing them recklessly. How dogs can protect wolves and livestock alike. Thank you for reading and writing my article. You will be surprised to know that wolves have started calling California home. The state is encouraging wolves and is thinking Napa valley to be a great place for their relocation. Great article. Thanks for share. I love the wolf even though they do cause problems in some areas. We do not have them here but we do have coyotes. I am glad that you read my hub and left this comment. Even today, National Geographic Wild was running a program on dogs and how they share a common ancestor with wolves and many of their traits. I read a great book about wolves a long time ago. Of course, I can't remember the name now. But it taught me to appreciate wolves because they have all the traits that you have detailed. Thank you, Kenneth. Your words of encouragement are priceless for a writer like me. You are more than welcome. And the words I wrote to you were the truth from my heart. You are a very talented writer and this wolf piece was exquisite. I will communicate your hello to Clark Kent. I am sure he will be glad to receive the message. Great piece. Loved it. Voted UP and all of the choices. I agree with you. I love wolves. Especially the Lobo wolf. What beautiful eyes they have and also very territorial. Keep up the fine work. I am proud to know and follow you. Tell Clark Kent that I said hi. Thank you for reading my article on a subject I am so passionate about and for leaving a nice and detailed comment. The story about dogs forming a pack is very interesting. I can relate to it as our dog also used to join a pack. This was way back in the late 70s when dogs were allowed to roam freely. We were so disgusted by his habit that we used to tie him up in our backyard. And of course, I agree with you on protecting wolves, which are our natural heritage. Thank you very much again for visiting this particular hub. I enjoyed your well-researched article. You’ve named off many dogs that I’m not familiar with. It seems to me that the closer the dog genetically is to the wolf, the less they bark. Our last three dogs were Chows, and they rarely barked. It has been our experience that dogs are pack animals. Our chows considered us, including our cats, to be their pack and fiercely defended all of us. We used to live in a “lower-rent” neighborhood where residents let their dogs run loose despite enforcement laws. 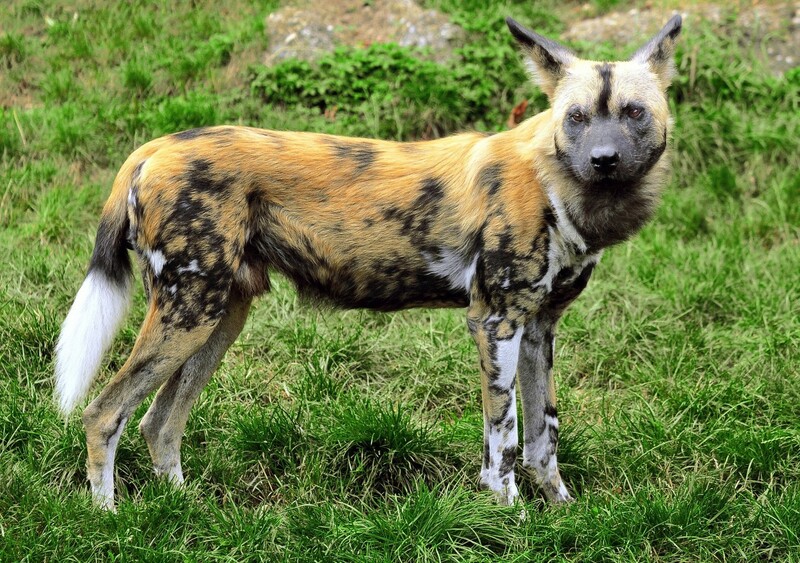 Each spring these dogs would form packs and hunt smaller animals like cats and small dogs. One year the packs got so bad that they were biting humans, including attacking a small child, and the city set traps for them. As soon as the traps appeared, the dogs disappeared; the owners put them up. The next year, they were right back out packing up again, and the process was repeated. Being of Native American descent and an animal lover, I find it abhorrent that some states have taken up the practice again of killing wolves. These beautiful and spiritual animals need to be left alone. 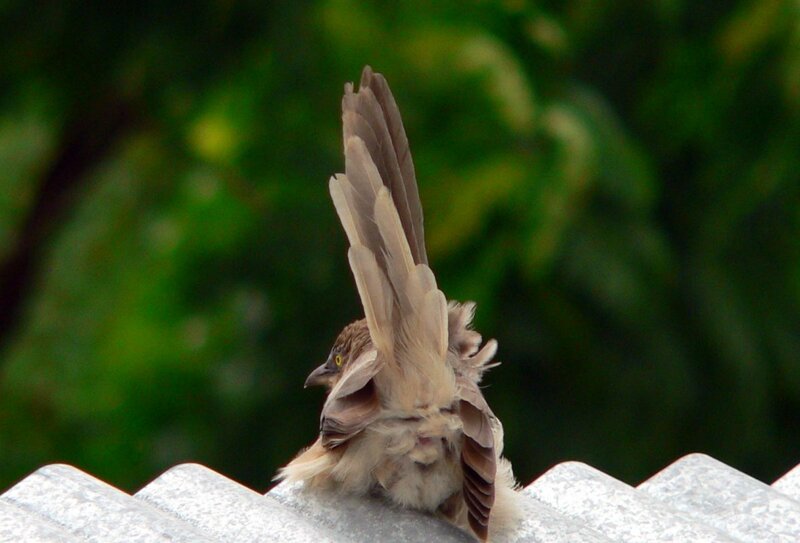 It is our encroachment upon their territory that makes their food scarce, then they may become nuisances. Our neighborhood is close to the river and has a problem with coyotes roaming the river and hillsides above it, but I would never advocate wiping them out. We just keep our cats in the house. You wrote, "Wonderful article on a very important topic. Many of us are concerned about the situation for wolves right now. I'm glad people like you are speaking out :-)"
I apologize for missing reading your comment left so many months ago. I am thankful to you for your encouraging words. First of all, I apologize for this delayed response to your comment. I agree with your suggestion, but our US based wildlife management agencies, especially in the northwest states of Idaho, Montana, and Wyoming, think otherwise. Same is true in northern Michigan. That is a sorry state of affairs. Love your article on the wolf. This is one beautiful animal and left alone is the right thing to do. It seems like we have to kill everything. Thanks for the hub. You are most welcome, The Hunter. i hunt wolves in northern ontario, but only out of necessity. i would never hunt a wolf for pleasure or for trophy. as a hunter, i respect all the game. i will never cease to hunt, but thanks to your article i have learnt a lot and will educate other hunters on respecting wolves. Thanks for visiting my hub and leaving a comment in support. This was an insightful hub and I agree we love our dogs indeed so maybe we should respect the wolf more. Voted up and useful. 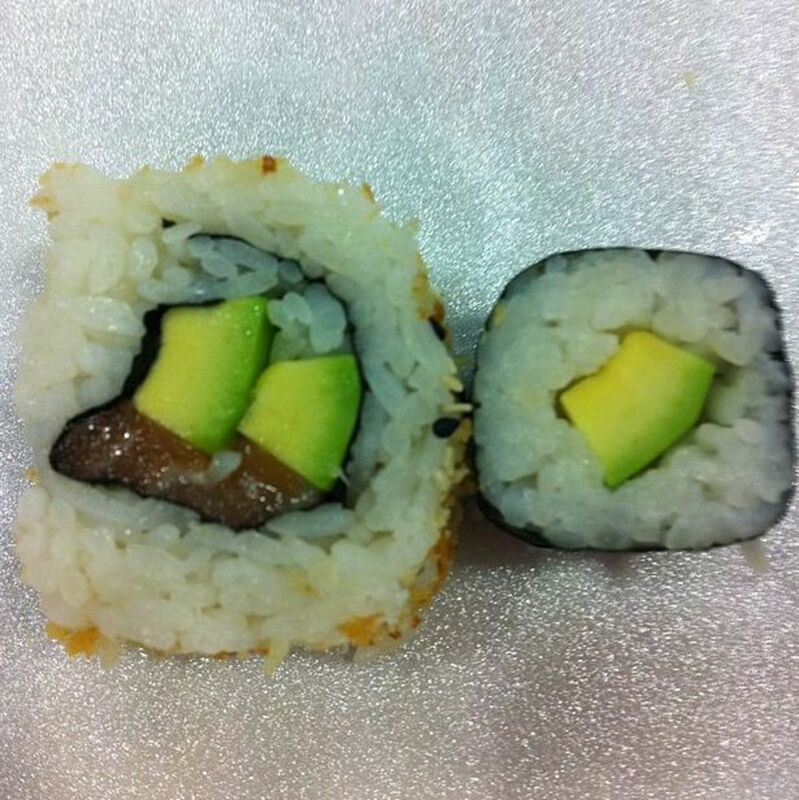 And believe it or not, there is a group of people who think that there is no place for any carnivore on this planet. These people fight it out over various forums. Thanks for supporting the cause and leaving a nice comment. It is sad that some people think that all wolves should be killed. It shows a lack of understanding and respect for the environment. Thanks for visiting my article and leaving an encouraging comment. I hope to do my part to rally support for wolves. I believe each one has to join the team to support wolves and all other endangered animals. It saddens me to see the wolfs being slaughtered. God put them on this earth and man has no right to make the decision to kill them. I'm glad you wrote this incredible hub bringing to light there value and importance to man. Thank you so much! Voted up! Thanks Deb. This was my second piece on wolves and I may continue writing more. Thank you Alicia. You seem to get it. Hats off. I brought in dogs to project a soft image of wolves. I love wolves but acknowledge that they are not a furry friend like our companion dogs, but they are not demons also as most of our hunters of today will have us believe. I agree with you. Real hunters like Jim Corbett only hunted those tigers in India that had become man-eaters. Later in his life, he became a wildlife conservationist. Jim Corbett National Park in India is named after him. What irk me are the flimsy excuses anti-wolf lobby gives to hunt wolves as trophy. Thanks for visiting my article Sneha. This hub is a beautiful tribute to dogs and wolves. It's also a good way to bring people's attention to the problems that wolves are experiencing in Idaho and elsewhere. Thanks for sharing the plight of these wonderful animals, Suhail. You are so right, Suhail, and this is why I support all the e-mails that want wolves kept on the list of endangered species. I am pleased that you wrote this as an appeal for decency. I have always loved wolves. They are no trophy but instead a fellow creature just trying to survive in this world like the rest of us. A trophy hunting species? No real man would consider a living being a trophy hunting species. Yep this is true that they share a common origin. And sadly wolves are endangered. People are so careless and selfish!